In 2018, Israel's Central Library for the Blind received the annual Audio Description Project's International award. Later this month (January 2019), the Library will offer its first Audio Description course to train additional talented people who will become part of Israel's audio description efforts. Made some 40 films and programs available with audio description. Produced for the first time a full audio description of a foreign film - the Japanese film "El Haor" (Radiance), that integrates audio description with dubbing and subtitles. Provided audio description for 45 performances, including shows produced by the Tel Aviv's renowned Habimah Theate and the Cameri Theater. Offered audio description for the opera "Carmen" in cooperation with the Israel Opera. Participated in welcome initiatives such as making the Sderot Jazz Festival accessible, thus providing a comprehensive solution for people with disabilities. Launched a collaboration with the Tel Aviv Museum of Art, making 7 leading artworks by artists Picasso, Roy Lichtenstein and others, accessible. Together with the Tower of David Museum, made their Sound and Light show accessible with audio description. In addition to the Library's work with audio description, Tel Aviv is home to the world's only professional theater company comprised principally of actors who deaf and blind-the Na Laga'at ("Please Touch") Theater. More information about the Library is at https://www.clfb.org.il/heb/main/; the website for the Na Laga'at Theater is at https://nalagaat.org.il/en/. 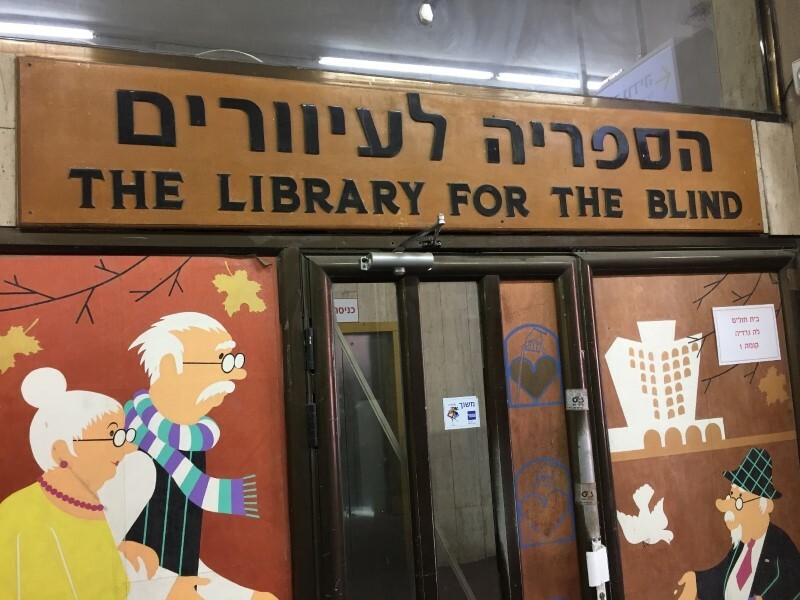 In April 2018, Dr. Joel Snyder presented a seminar on audio description at the Access Israel Festival in Tel Aviv and conducted an audio description workshop at the Israeli Central Library for the Blind. Pictured above is the entranceway to the Library, where "The Library for the Blind" is noted in English and Hebrew.